I know Rocky IV. Rocky IV is a guilty pleasure of mine. 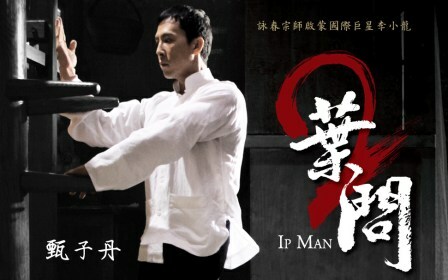 And Ip Man 2 is no Rocky IV. Oh, it certainly tries to be. As Kozo said in his review, the second half of Wilson Yip’s 2010 film “is basically a blow-by-blow retread” of the fourth installment of the Balboa legend. Remember when Apollo Creed told Rocky not to throw in the towel? Remember when Apollo went ahead and got killed by the Russian, Ivan Drago? And remember when Rocky beat Drago, won the Russian crowd over, and gave a speech about cross-cultural understanding, which the announcer translated for a no longer hostile audience? Yeah, well, so did Wilson Yip. Except he didn’t do it half as well as Sly.